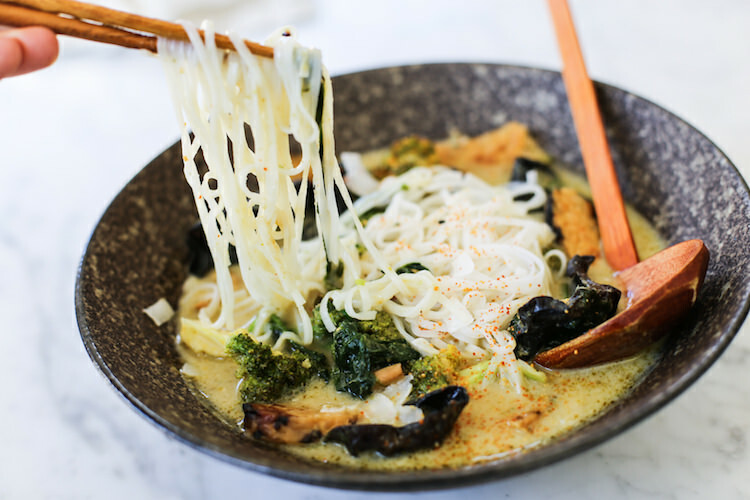 A homeFeel like a delicious Green Curry but don’t want to spend time in the kitchen. It’s your lucky day, the talented Holly Shelley @paradise_pantry did it again, and we love it! Well thank you Holly, you completely mastered it. Panfry slices of tempeh in coconut oil until golden, set aside. Enjoy with chopsticks and a big spoon to slurp! Words from Holly: I was so impressed with this Green Curry kit, the flavour was just like something I’d make myself and it was so easy! And I love how you can make it your own with adding veggies / meat in.